Feel free to consult this chart for personal use as well! Although every color really should just say “you will eventually die either way”. If I were that unicorn, I’d be more concrned about that leg bending *forward*. Ok ok, I’ll change it (after I’m home from work.) Even though this absolutely is how a unicorn would hold things! edit: -and how unicorn joints work. While I appreciate your responsiveness, that’s still a pretty human-like shoulder and upper arm. I guess it’s better than “every animal is a dog”, though. ;-). 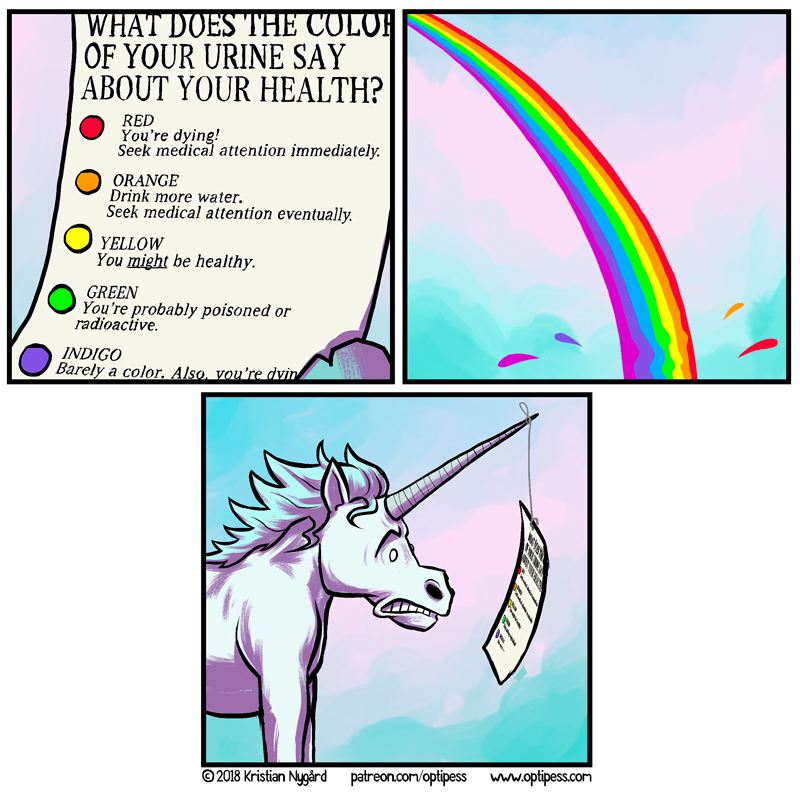 I shudder to think about what blue urine would mean. Methylene Blue – it’s also used medically for some obscure conditions, but it absolutely turns your urine blue to bluish-green. OK, I’ll buy that that’s how a unicorn holds a piece of paper. But how does it tie the string?